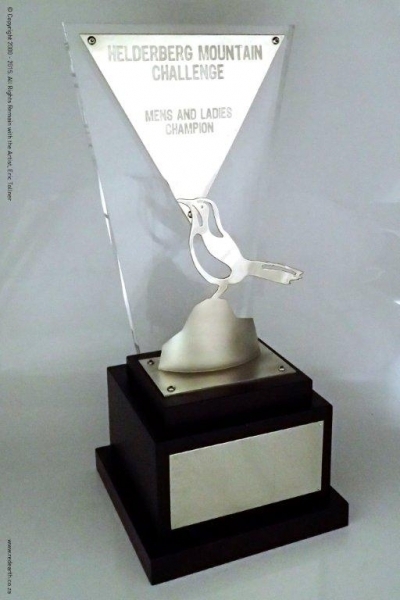 The trailrunning floating trophy designed and created for the Helderberg Mountain Challenge, Somerset West, Cape Town, 2015. 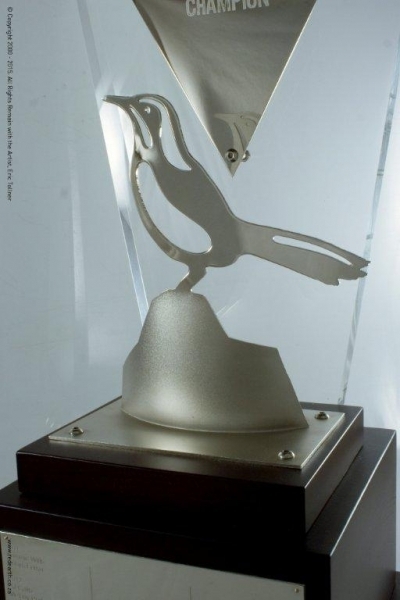 The second floating trophy in the Mountain Challenge Series, it features the Rockhopper logo, and follows a similar theme to the 1st trophy created for the Jonkershoek Mountain Challenge. Satin & polished nickel-plated, soaring eagle and mountains, mounted to a base of dark Beech.